I used to go to watch TNS (Total Network Solutions) – as they were called back then – now they are called The New Saints. They played at a little ground near my grand-parents and I would go and watch them with my granddad. They were the only team I knew that played in a league that wasn't named after the place they came from – they were funded by a local technology company and were at that point I think the only full-time team in the Welsh Premier League. Their ground was in Llansantffraid, a little village south of Oswestry (pictured) I used to stand behind the home dugout (left) and the air would be 'blue' from the TNS manager's mouth as he shouted out his orders. The company Total Network Solutions was bought by BT and so the club's sponsorship ended and they relocated combining with Oswestry Town, to become The New Saints. Before that happened I saw them play both Liverpool and Manchester City in european club competition qualifying rounds, it was amazing watching this little team take on the might of the english clubs. I'd always look out for their results on final score as Jeff Stelling gently said "They'll be dancing in the streets of Total Network Solutions tonight!" - only if they won of course. 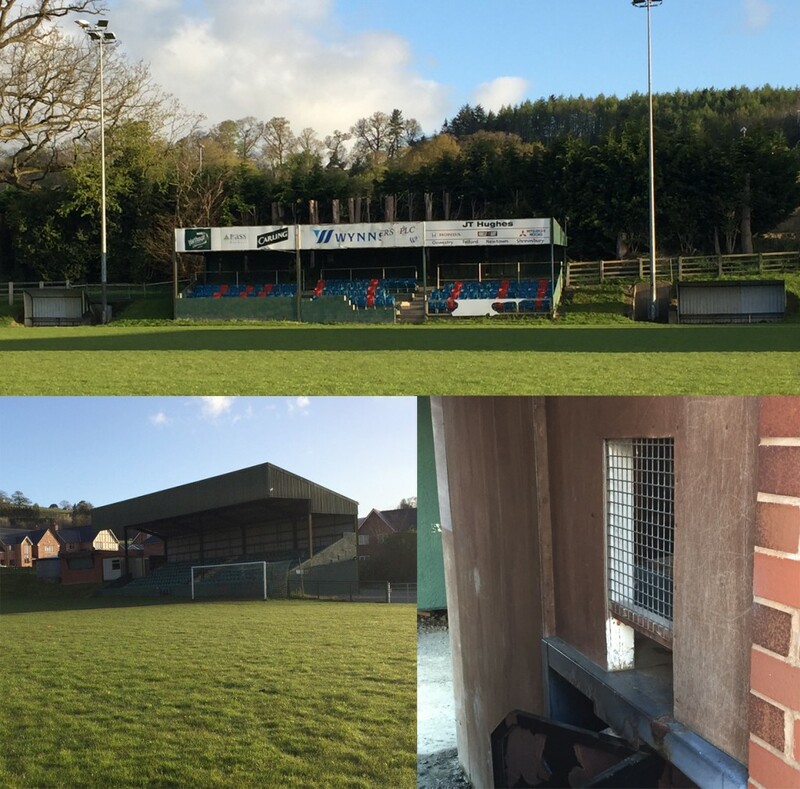 They have just created Welsh Premier League history, by managing to complete a domestic treble for the second season running, but I'll always think of those games at Llansantffraid.